When the concern is on changing property ownership within the Miami-Dade County, as well as services on CU Inspection, Miami-Dade county's COU Miami - Certificate of Use is the company worth approaching. We invested in a proprietary online software program; it easily allows you to check the status of your application. With our professional inspections services, we can evaluate your property accordingly, then, issue a Certificate of Title, which names you as the new and legal property-owner. Alongside the quality CU services we offer, we present you with reasonable rates for our inspections. Why Is There a Need for a Change in Property Ownership? A change in property ownership is necessary in cases of land transfer due to a sale, court order, tax enforcement proceeding, death, or bankruptcy; in some cases, a transfer of property from one individual (or corporation) to another individual (or corporation) is done freely. So long as there is land and a name of a beneficiary, the process can begin. Regardless of the reason for a change in property ownership, an application for a Certificate of Title is necessary. And, in many cases, the document is said to be issued only after the approval of professional services on CU Inspection. Miami-Dade County's COU Miami informs residents that if all goes as planned and a Certificate of Title is granted, the new property-owner will be recognized officially by legal authorities. 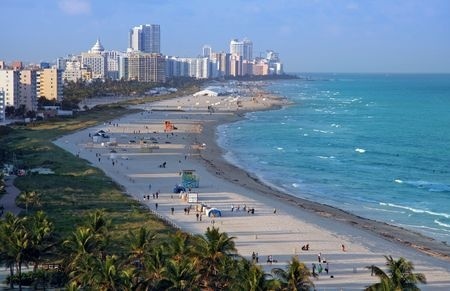 Applicants for a change in property ownership in the Miami-Dade County are required to follow certain regulations in the state of Florida (or in the applicant's home state, for outside residents). Usually, the applicant is mandated to fill out a form, which asks for personal details and contact information (e.g. full name, birthday, home address, tax number), as well as the submission of important documents; among the list of documents they need to submit includes acceptable proof of property ownership. Additionally, this is where the Certificate of Use inspectors enter the picture. Before a property-owner is allowed to transfer land to a beneficiary and before he could apply for a Certificate of Title, he should avail of the services meant for a CU inspection; Miami-Dade County's COU Miami - Certificate of Use is a company that he can turn to. With COU Miami, a speedier process for the issuance of a Certificate of Use can be expected. Since we also have a system on the internet, applicants can track the progress of their CU application every step of the way. Within 3 to 5 days, we can give you the necessary results for the pursuit of your construction plan. Moreover, we work with the DP and Z or the Department of Planning and Zoning. In our collaboration with the higher authority, you are given the guarantee that we offer first-rate inspections services. Alongside, we accomplish the job in accordance to Zoning Ordinance 08 - 133, which is designed to protect Miami-Dade County residents against certain land use laws. Therefore, if you need a reliable service-provider for CU inspection, Miami-Dade's COU Miami - Certificate of Use Inspections will come to the rescue.